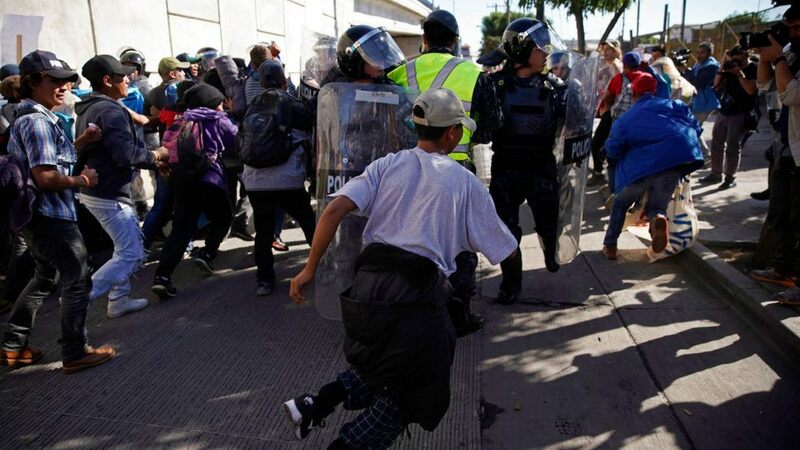 Hundreds of members of the migrant caravan have attempted to swarm the US/Mexico border in order to break through into Southern California. 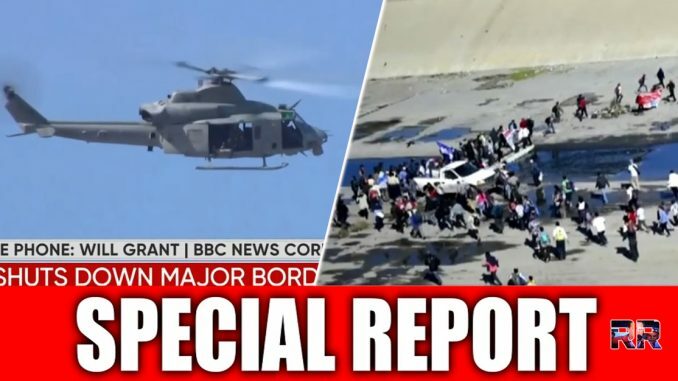 The migrant assault on the border is being repelled by Air & Marine units from US Customs. 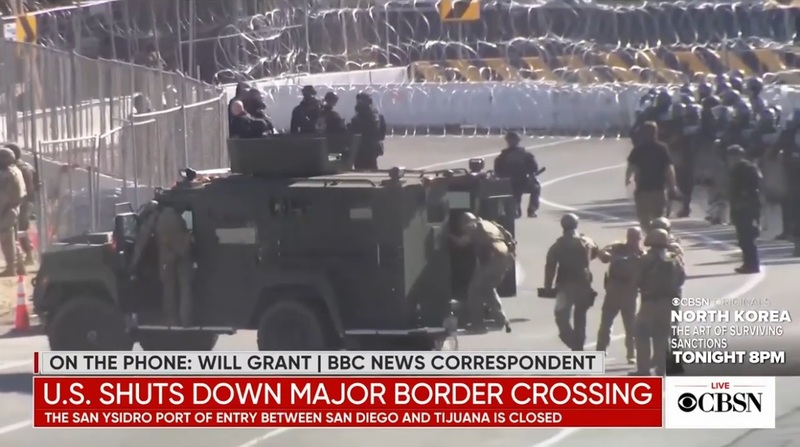 “Images and videos posted on social media Sunday afternoon showed hundreds of migrants from the leading Central American caravan pushing past Mexican riot police and rushing the border at the port of entry in San Ysidro, Calif., in a major test for both U.S. border authorities and Mexican officials. 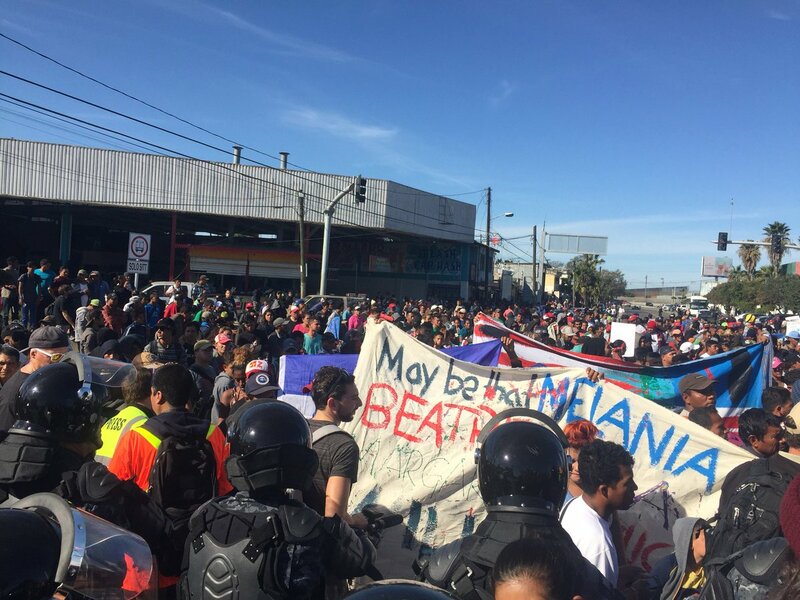 Within an hour, the group that rushed toward the border largely dispersed. Most of the migrants in the group were men. 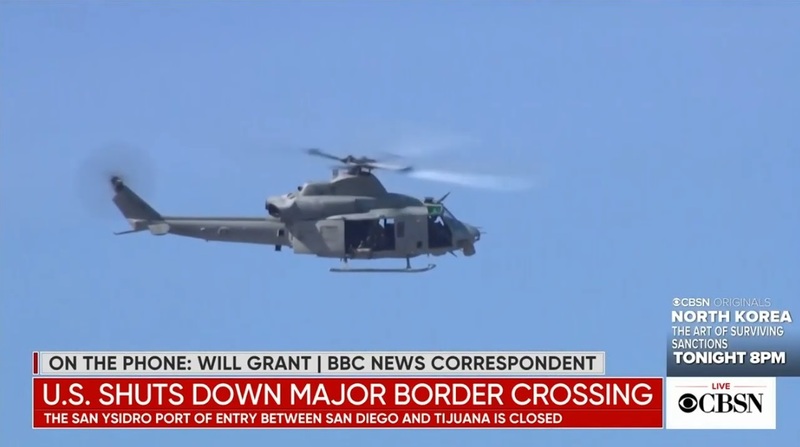 Footage posted by ITV correspondent Emma Murphy also showed several U.S. Border Patrol helicopters flying low overhead near the Mexican side of the border. The dramatic escalation at the border came as Mexico’s incoming government denied reports Saturday that it had struck a deal with the White House to keep asylum-seekers in the country while their claims move through U.S. immigration courts. President Trump, for his part, again threatened to close the entire southern border if no deal could be reached between the two counties. CBS News also reported on the attempted border breach. 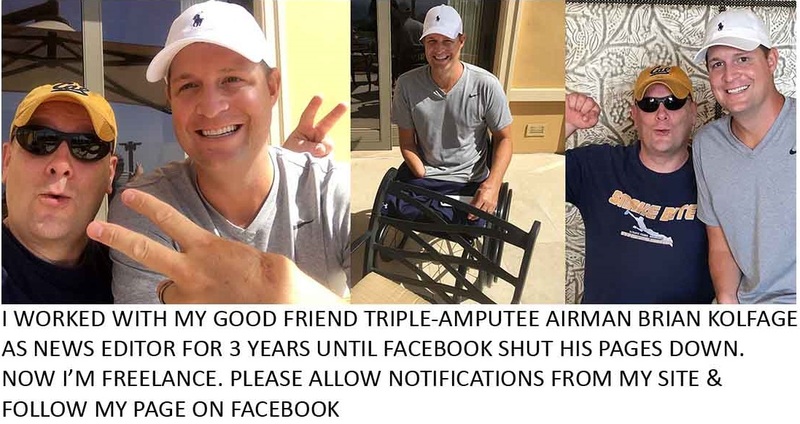 Share this if you support Trump’s response to the invasion force!